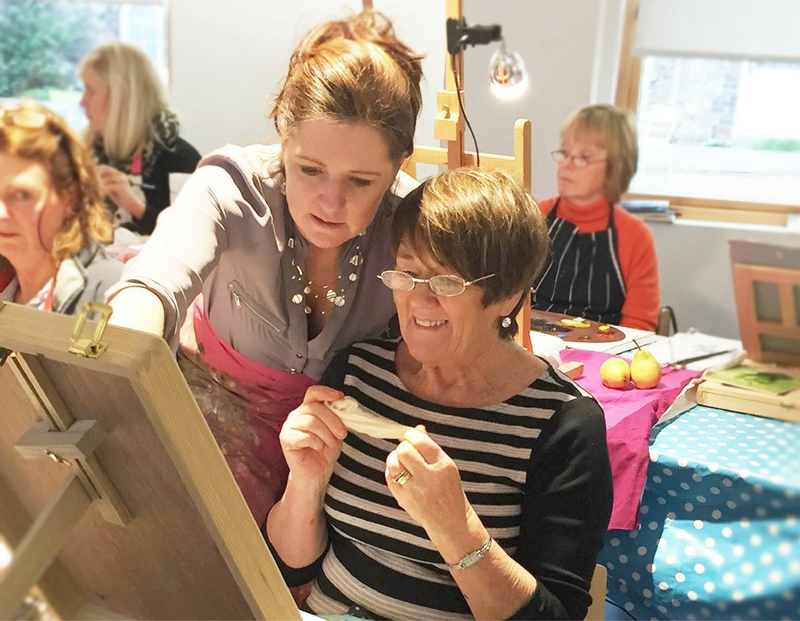 Have you got the passion for painting? Are you struggling to make your paintings sing? What you need is somebody to clearly show you how to create good compositions, the technique to paint them and the confidence to enjoy every minute. And that, my friend, is what I love to do! 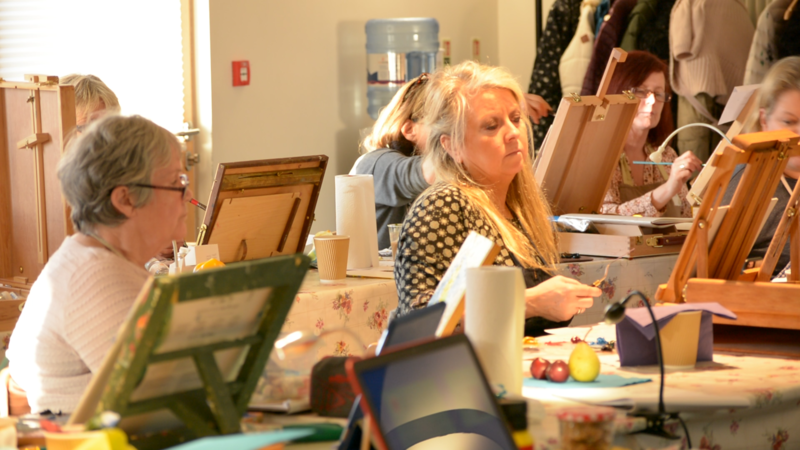 A concentrated and clearly structured course held over three days that focuses on painting technique, finding inspiration and overcoming the barriers to creativity. How to use a limited palette. Really getting to grips with tonal value. The six stage technique involved in painting a painting from start to finish. Applying paint – brush & palette knife. Róisín is not just an artist. She has many years of experience in giving workshops and teaching. 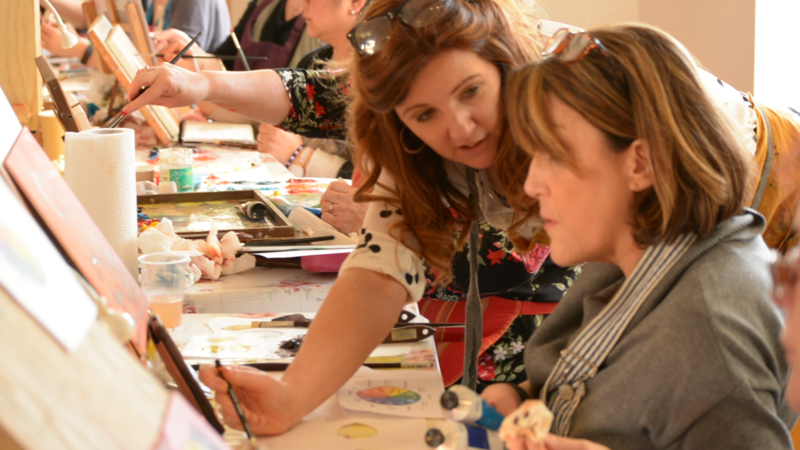 From the serious business of passing on the tradition of creativity to the simple joy of painting, Róisín is committed and passionate about teaching, sharing and living creativity. 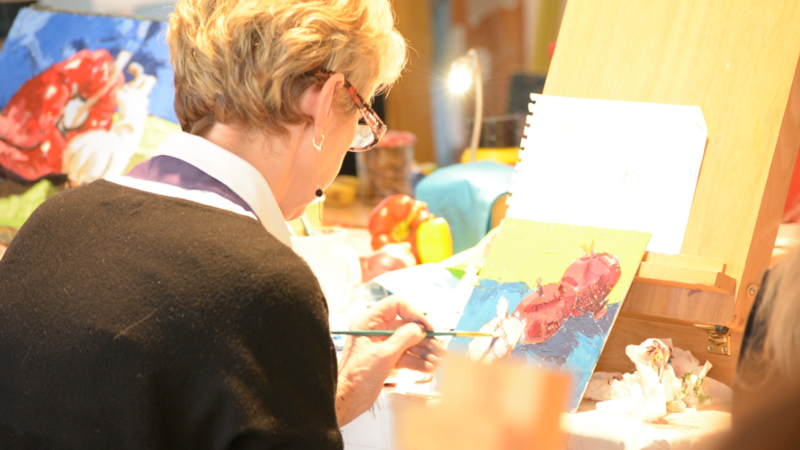 Although many artists attend, you do not have to be an experienced artist to attend or enjoy the weekend. 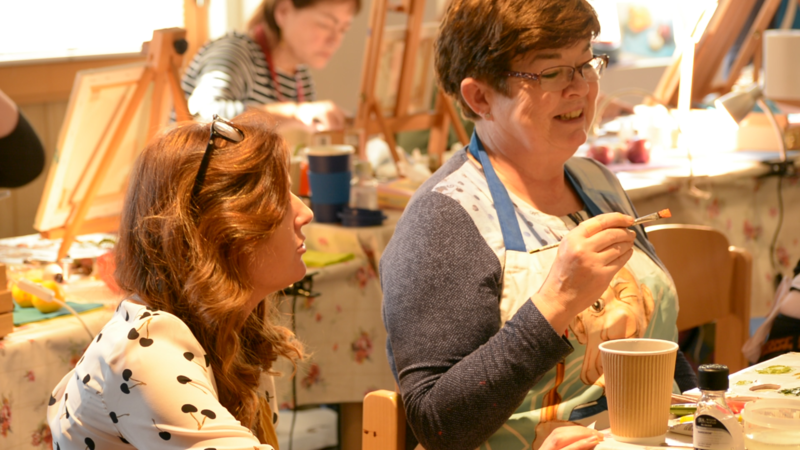 It will be a down to earth, inclusive experience, designed to bring people together for the joy of painting, some serious learning and good company. 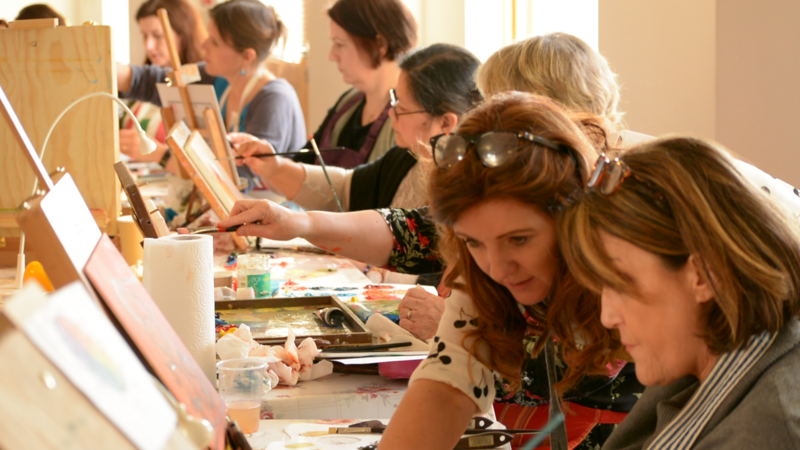 These weekend workshops are now in their six year, with many attendees returning year after year. Lunch is available each day as an optional extra. Materials are not provided. Full materials list is provided. The workshops are available with priority to mailing list members. Join the mailing list to receive more info – they normally sell out in no time at all! “When it comes to creativity we are all delicate flowers. We can easily be discouraged by a thoughtless remark or our own inner critic. Let me help you learn how to nurture the root of your passion… your creativity, and overcome barriers both practical and internal to progressing.